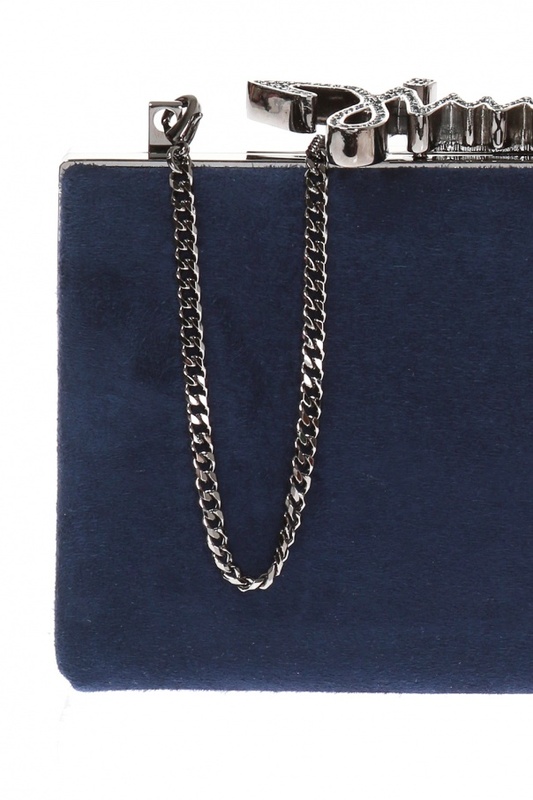 Navy 'Celeste' clutch from Jimmy Choo. Made of suede. Snap fastening. Metal logo encrusted with crystals. Detachable shoulder chain strap. Slip pocket inside. Grey metal hardware.